Meet the four teams that are battling to win the $10K Drag Shootout – a competition where each team gets $10,000 and 10 days to build a drag car. Team Boddie, Stinky Pinky, Team Bigun, and the COMP Cams Dream Team are stocked with some of the most talented drag racing fabricators, tuners, and drivers in the world. Thrills, drama, and tempers explode as the teams meet each other and establish a pecking order. 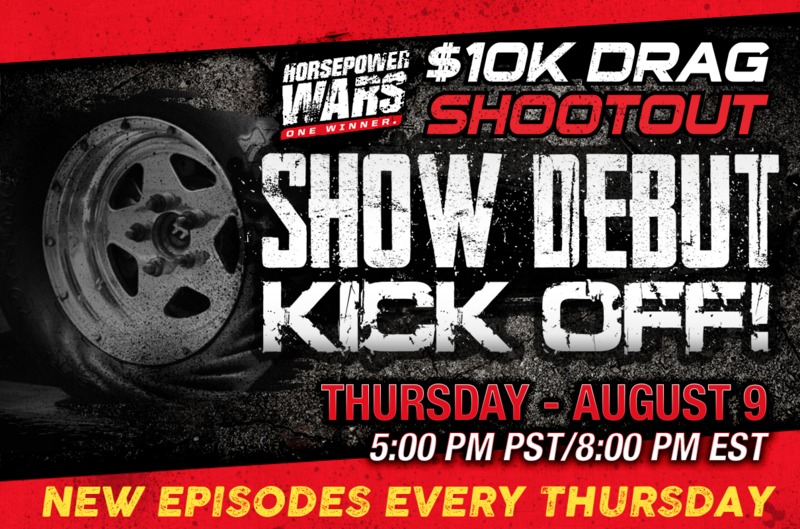 Learn more about the $10K Drag Shootout at www.horsepowerwars.com. Tune in to the CPG Nation Live Facebook page August 10th for a live Q & A w/Jeff Reed. Ask Jeff anything about his Horsepower Wars co-stars, the COMP Cams Dream Team, or the episode.